London, UK – 12 December 2018 – The Emmy™ Award winning content and revenue protection specialist, Friend MTS has appointed Brad Parobek as its new Senior Vice President (SVP) Sales Americas. The role will see Parobek head-up current operations within North and South America to drive overall strategy and regional growth. With over 31 years of experience working within complex environments such as Cable and IT Telco, Broadcasters Network Infrastructures, Cloud and Device sectors, Parobek brings with him solid expertise in Digital TV, Digital Video, TV & Media technologies. 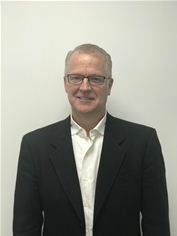 Prior to joining Friend MTS, he held senior VP MSO sales positions at large brands including Nokia and Huawei Technologies, plus various software technology companies.